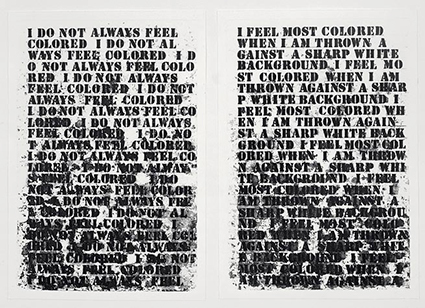 New York conceptual artist Glenn Ligon is perhaps best known for his landmark series of highly textured text-based paintings, which draw on the words of such diverse figures as Richard Pryor, Zora Neale Hurston, James Baldwin, Malcolm X, and Gertrude Stein. One of the essential and defining artists of his generation, Ligon has also created work in video, neon sculpture, photography, and printmaking that has been shown internationally for over two decades and resides in the collections of major museums around the world. Politically provocative, yet formally rigorous, his artwork explores issues of race, history, language, and identity. On Tuesday, January 15, UCSC’s Institute of Arts and Sciences will present a lecture by Ligon on campus at the Digital Arts Research Center as part of its ongoing TRACTION: Art Talks series. The event begins at 7 p.m. and is free and open to the public. Ligon has been the subject of solo museum exhibitions at the Camden Arts Centre in London, the Power Plant in Toronto, the Walker Art Center in Minneapolis, and the Studio Museum in Harlem. His work has been included in such major international exhibitions as the Venice Biennale (2015 and 1997), Berlin Biennal (2014), Istanbul Biennal (2011), Documenta XI (2002), and Gwangju Biennale (2000). 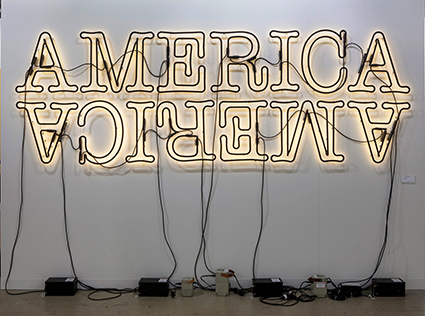 The Whitney Museum of American Art also held a mid-career retrospective of Ligon’s work, Glenn Ligon: America, in 2011 that traveled the country. 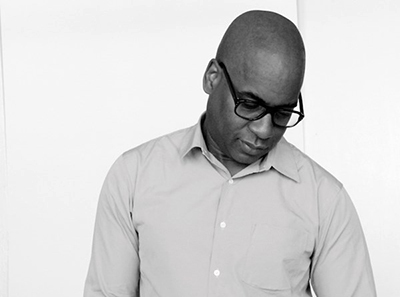 In his introduction to the exhibition, Whitney Museum director Adam Weinberg noted, “Ligon has been able to successfully produce works that are disturbing, disruptive, and transgressive while simultaneously seductive, sensual, and stunningly gorgeous…His subject matter ranges widely from the Million Man March and the aftermath of slavery to 1970s coloring books and the photography of Robert Mapplethorpe." Ligon’s recent shows include Glenn Ligon: Encounters and Collisions, a curatorial project organized with Nottingham Contemporary and Tate Liverpool, and Blue Black, an exhibition he curated at the Pulitzer Arts Foundation in St. Louis, inspired by the site-specific Ellsworth Kelly wall sculpture of the same name.